The unspoken, the unsaid, the silent. In this chapter, we evoke Baradian theory to examine different aspects of silence in science education. We will first discuss how silence is defined, studied, and examined in feminist research. Then using Karen Barad’s concepts of diffraction and agential realism, we will explore silence from a feminist perspective focusing on silence’s contribution to, or absence from, the production of knowledge in science education research. 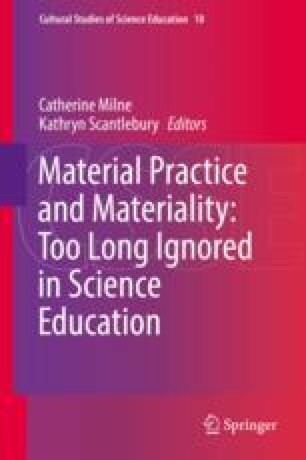 This discussion will include participants’ silence, researchers’ silence, and how the silence in science education related to matter and materiality is ignoring the possibility of producing new knowledge and understandings. The chapter concludes with a discussion of implications for how science education researchers could take a diffractive view of their practices and use agential cuts to produce phenomena that incorporate silence.